Elajé Master Therapist, Michelle Richardson has become a Dermalogica Specialist, after taking a series of advanced workshops. The advanced certificate makes Elaje a specialist salon in delivering the Dermalogica facial. This wonderful treatment is renowned as one of the best salon treatments and ongoing care that you can provide for your skin. It begins with a thorough cleanse and exfoliation before your therapist takes you through the zones of your face. This mapping of the zones of the face allows a prescription of what is needed for your particular skin type. A relaxing steam and massage is followed by cleansing, toning and masques that are ideally suited to your individual needs. “Moisturising treatments are applied just where they are needed as Dermalogica treatments are about skin health and not just a wonderful pamper experience, which is an added bonus,” said Michelle. A range of exceptional products are available that will help you to maintain optimal skin health in between visits to the salon. 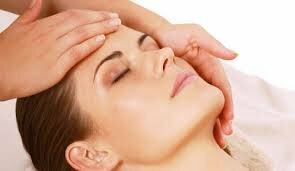 Prescriptive facials for 45 minutes are available from £47.